Despite my magazine addiction, Flare is actually not one in my regular rotation. This cover, however, might be enough to change my mind. 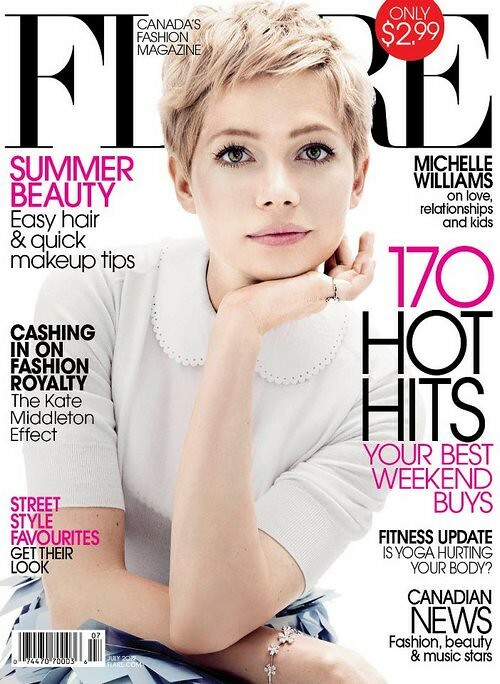 Doesn't Michelle Williams look perfect? Michelle, not being on Dawson's Creek totally agrees with you.